Born and raised in Wolpa Grodno, Poland, Kahanovitch was ordained in Novogrudok, Russia, at the age of twenty. 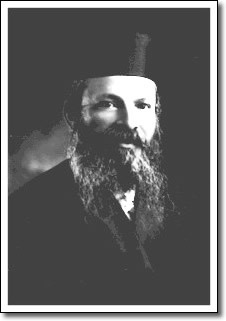 After rabbinical service in Poland and the United States, he became spiritual head of Winnipeg's Orthodox Congregation, Beth Jacob, in 1906. With his appointment in 1914 as Chief Rabbi of Western Canada, his authority extended over Jewish communities from Fort William to Victoria. As a teacher, interpreter, and judge of Jewish law for nearly four decades, Kahanovitch played a central role in the religious and secular life of Jews in Manitoba. He was instrumental in founding Winnipeg's Talmud Torah (Hebrew Free School) in 1912 and institutions such as the Jewish Orphanage and the Jewish Old Folks' Home. Devoted to the creation of a Jewish state in Palestine, he was also a founding member of the Canadian Jewish Congress. He had a lasting influence upon the Canadian Jewish community.